The World's No 1 Goal Setting Technique. The S.M.A.R.T. 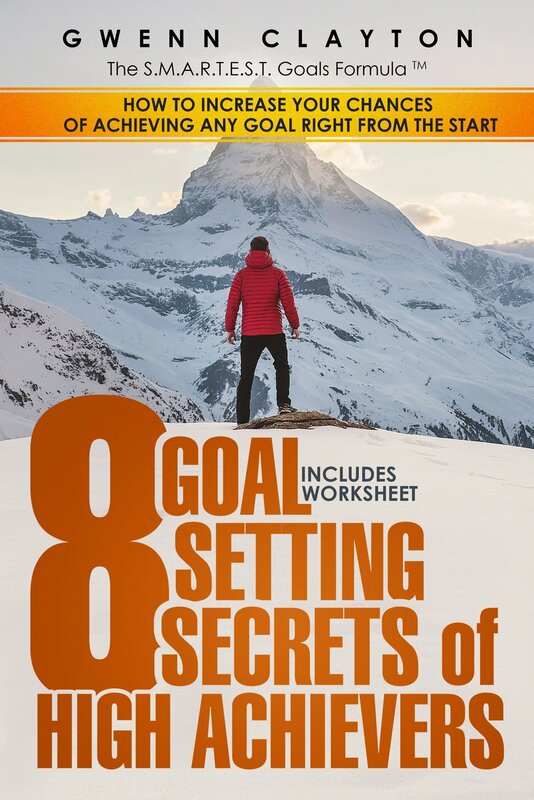 goals technique is the most popular method used for goal setting in the world today. Smartest Goals™ Formula instead. This is the technique I have devised for setting detailed and thorough goals and is based on well respected research into how high achievers set their goals. S.M.A.R.T.E.S.T will significantly improve the quality of your goal setting and increase the likelihood of your success, before you take a single step). Here is one example of how to set a S.M.A.R.T goal using the above version of the acronym: . Goal example - I want to 'earn more money'. "I want to earn more money". But...surprise, surprise nothing is happening! To stand a greater chance of achieving it, turn it into a S.M.A.R.T Goal . 1 - Make your goal SPECIFIC and write it down. Write a sentence which encapsulates your goal in very specific terms. Having a 'vague' goal like 'I want to earn more money' is utterly worthless. One way to make your goal specific is to think about the 'who', the 'what', the 'where' and the 'when' of your goal. Your goal sentence should contain the relevant number of these. “By the end of 2012 (the when),I (the who) am proudly earning 50,000 dollars a year in a grade 4 teaching job (the what) in New York (the where)”. Here are many more examples. In order for a goal to be stated specifically, you must determine what the tangible measures for your goal will be. In other words what will you see, hear or feel when you have achieved your goal? Your answers to this question are the way you will recognise you have achieved your goal. Without measures, how will you know that you been successful? The goal sentence above is specific as a result of determining the following visible measures. Paychecks from my 50,000 dollar annual salary are deposited into my bank account each month. I am working in a new grade 4 teaching job". When you list the measures for your goal then you can create a sentence that summarizes your goal much more easily. Always remember the wise phrase 'what can't be measured can't be managed'! (You can think through your smart goal using the letters in the acronym in any order you like. I always create my specific goal statement AFTER defining my measures). It must be possible for you to achieve your goal. Setting unachievable, unattainable goals is futile. You will be doomed from the outset. You yourself need to be capable of implementing your goal. Here is an example of a written goal that is unattainable. 'My husband is earning $50,000 a year'. 'I am earning $50,000 a year' OR 'I am helping my husband to earn $50,000 a year'. We often create goals that are about others. But goals must be stated in such a way that it is YOU who are in control of them and will take responsibility to make them happen. Am I in CONTROL of achieving this goal? If it isn't and you are not, then you need to revise how you are stating your goal. Your goal must be realistic. Your goal should also be STRETCHING and MOTIVATING, but not so big or complex that you will lose the motivation to achieve it. A goal must have a deadline. This will provide you with the nessessary focus and sense of urgency to make it happen. When you finalise your specific goal sentence and write it down it must include your deadline. By when do I want to have achieved my goal? And then incorporate that date into your goal statement. 1. The smart goal setting process is not a rigid 5 step process. Rather, it is a checklist to ensure that the sentence you have written summarising your goal meets ALL of the above five criteria. 2. You can run through the five steps in any order. I think the best order is really M.A T.R.S. 3.The most important part of the process is to define your measures. In other words you need to know how you will recognise that your goal has been achieved. And if your goal involves other people, then they will need to know this too. Before you start smart goal setting for yourself take a look at more examples.